Code anywhere anytime with Dcoder! 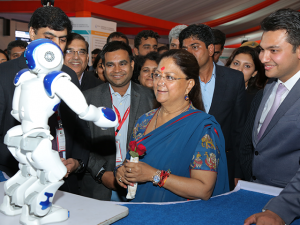 Government of Rajasthan is committed towards making a competitive and transparent ecosystem for the innovative minds of our nation. 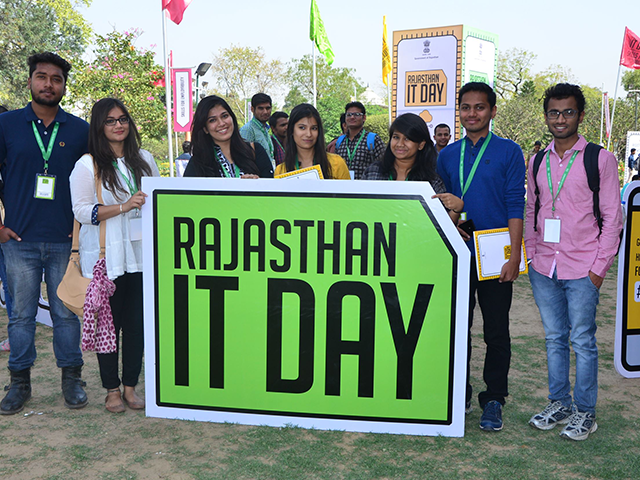 After its huge success in the past, GOR is organizing the fourth edition of Hackathon at Rajasthan IT Day 2018. 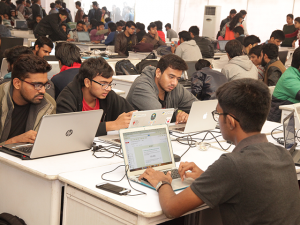 Hackathon 4.0 is going to be state’s largest hackathon with over 5000 Coders uniting for the battle of the best under one roof at the pink city – Jaipur, Rajasthan (India). 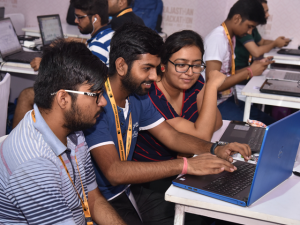 This would be the best 36 hour of your life and an experience to cherish for as you will get an opportunity to work on your out-of-the-box ideas on Bhamashah, e-Mitra, Artificial Intelligence, Internet of Things, AR/VR, Blockchain, Machine Learning, Data Warehouse and Data Mobility. Let’s talk about why you should not miss this coding battle if you are a Coder, Developer or Hacker. 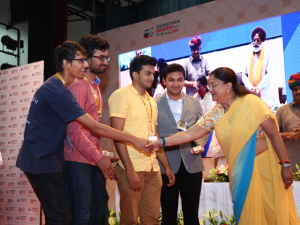 I am sharing my experience of the first hackathon organized by Government of Rajasthan in 2016, i.e. Hackathon 1.0. That was the year I graduated and was busy working on Dcoder, and I thought that it would be a good platform to showcase my creativity. 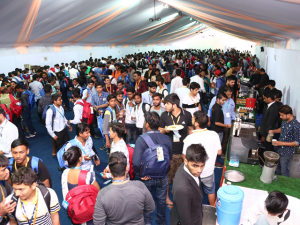 This was one of the best experience of Hackathon, which was surely the biggest hackathon I have ever attended and this time it is going to be even bigger success with you, Dcoder and over 5000 Hackers Coding together to solve real life problems using their ideas and hacks. 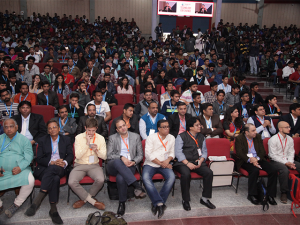 The event also hosted multiple small events and other fun activities for the participants, if you get bored with the code you can just leave your seat and roam around and participate in fun activities or meet Entrepreneurs, Startups and Innovators. 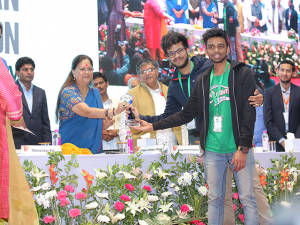 Winning teams will get projects worth 1500000 (INR 15 Lac), 1000000 (INR 10 Lac) and 750000 (INR 7.5 Lac) and a chance to work directly with Government of Rajasthan. Participants will also be nominated for 10 other prize categories including iPad, tablets, cell phones and a lot more. The other fun events and quizzes will also provide a chance for the participants to win goodies and prizes. 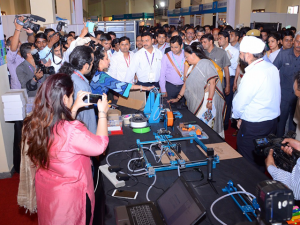 Rajasthan IT Day is going to be the Flagship Technology Event and will bring together Entrepreneurs, Tech Founders, CEOs, Innovators and Change makers showcasing their innovation and products.Yes, we will be there too, so you also get a chance to meet Dcoder. 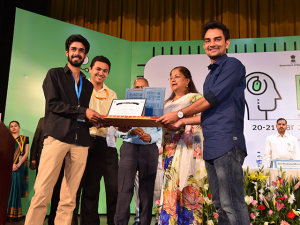 Top 3 winning teams of Hackathon will get a chance to work with Government of Rajasthan on various projects. It will be a very good opportunity for all you Startups, Innovators, and Coders as you’ll be able to utilize your experience and expertise to make a world-class product. Did we mention earlier that you don’t have to spend a penny for all this? All you have to do is show-up to demonstrate your creativity on this beast of a platform. If you are in India, Government of Rajasthan will reimburse the journey ticket up to AC Tier-2 of Train. 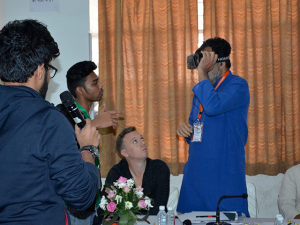 There will be a systematic arrangement of Food and accommodation for all the participants. Note: For participants coming from other countries, the flight tickets will not be reimbursed. If this is also on your list then most welcome, you’ll find us there in the event. 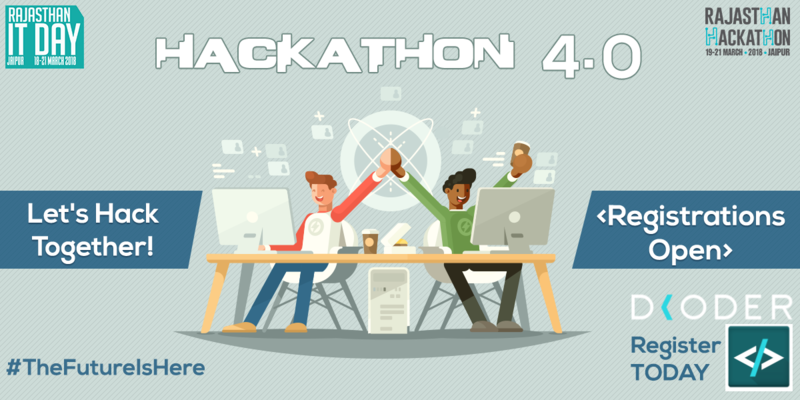 Dcoder invites you all to the biggest and the most innovative coding marathon- Hackathon 4.0 from 19 to 21 March,2018 at Rajasthan College, Jaipur (India). 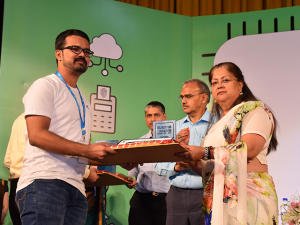 This entry was posted in Uncategorized and tagged Rajasthan it day on February 21, 2018 by ankush38u. Why We love Kotlin (Part 1)? Copyright © 2019 Dcoder, All rights reserved.